A plumber based in the Rotherham, Barnsley, and Sheffield areas of the United Kingdom. 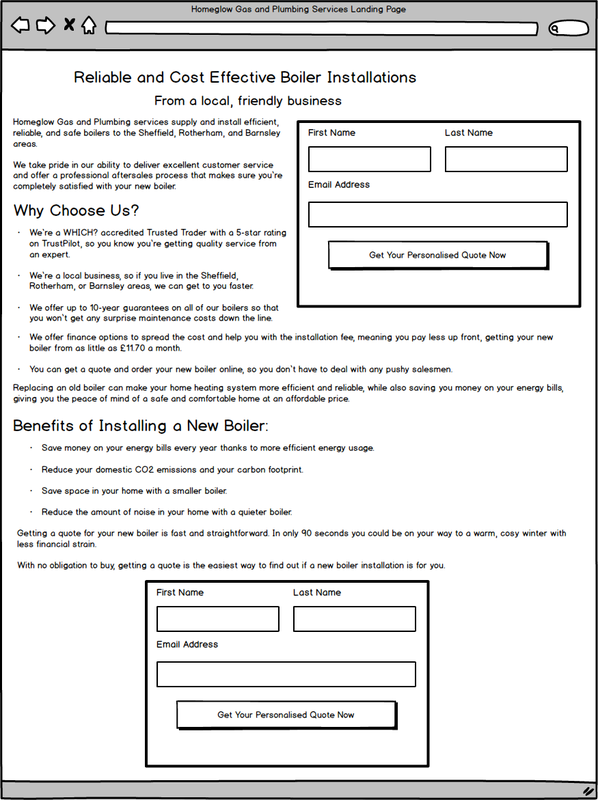 Andy from Homeglow asked me to create a direct mail sequence in order to attract more boiler installation customer. 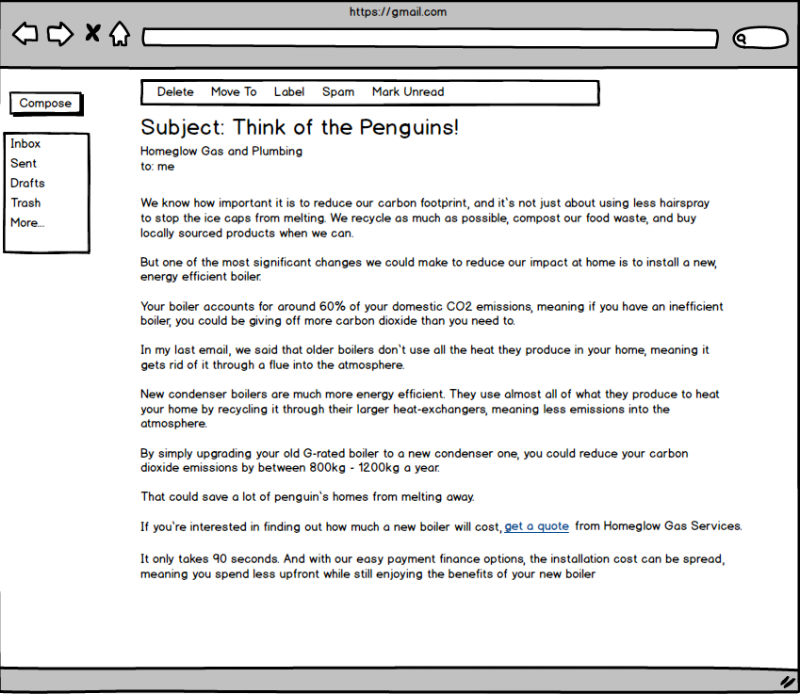 He wanted to start with a leaflet that would be left in the doors of people in the Roherham, Barnsley, and Sheffield area, advertising boiler installation from Homeglow Gas Services, and directing people to a landing page and their 90 second quote generator. 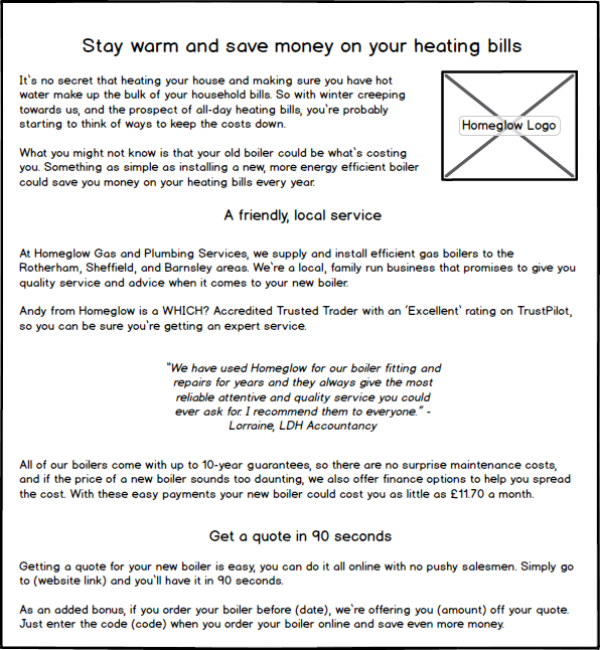 Along with this, Andy wanted a more detailed customer letter to go to the homes of previous customers that had used his services for boiler services in the hopes of converting them to boiler installations if needed. This letter was also to lead to the landing page. To go with this direct mail effort, Andy also wanted an email sequence to be sent to the customers that didn’t finish the quote generating process. 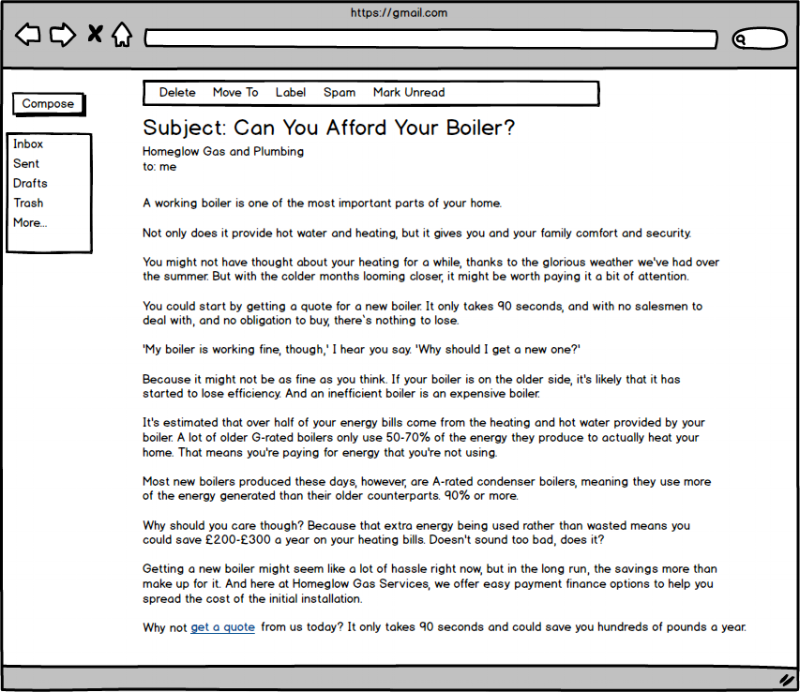 These emails would outline the benefits of installing a new boiler (1 benefit per email, 4 emails in total), and each email would again lead to the landing page and quote generator. Below I have included wireframe mock ups for each of these pieces with the text that Andy used. Click on the image for an enlarged version, or click on the text to go to the Google Docs text version.